Relaxing during a hard work can be done with several ways to entertain and enjoy your extra time in work. One of those ways to relieve your tiredness is to watch movies or videos. How about Watching a movie while you work? Using VLC you can set a Video (any extension) as a Wallpaper for Windows, this trick will make you able to make your favorite movie as a background so you can watch and enjoy it along with doing your important work. This trick with VLC Media Player will allow you to bend any videos to the Wallpaper of Windows using the DirectX Video Output option available in VLC. After selecting the specified output for the video, you can right click and select DirectX Wallpaper. 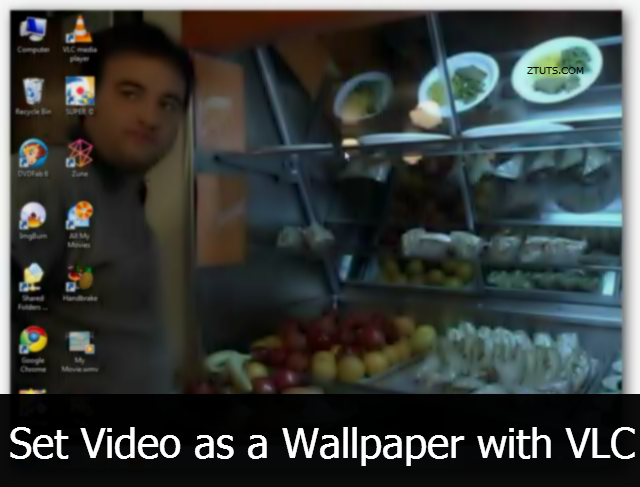 1) Open the Video with VLC and let it play. 2) Press CTRL + P or select Tools > Preferences from the menu of VLC, the Settings window should appear. 4) Press Save to apply the modified settings. 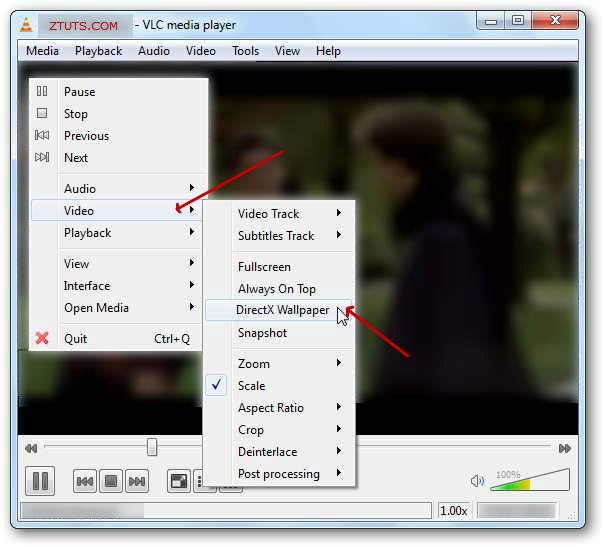 5) Now Right Click the Video in VLC and select Directx Wallpaper or select Video > Directx Wallpaper from the menu. 6) Done! The background wallpaper will be changed immediately and you'll notice the video being played in background. Note #1: To disable the video background, return to VLC > Right Click the Video then Uncheck Directx Wallpaper. Note #2: If you are using Aero Themes (Windows 7) you may be warned by a bubble saying "The Color Scheme Has been Changed to Windows 7 Basic", it's normal as it will buffer the video it should be set to Windows 7 basic theme. Note #3: After Disabling the Video background, you have to reset your Wallpaper image from the Windows background selector.